A prominent Indian politician, Piyush Goyal is the Minister of State with Independent Charge for Power, Coal and New & Renewable Energy in the newly-formed Modi government. Goyal is also a famous investment banker and advices top banking professionals on management strategies and growth opportunities. Piyush Goyal was born to Ved Prakash Goyal and Chandrakanta Goyal in Mumbai, Maharashtra on June 13, 1964. His father served as a BJP treasurer for a very long time. Ved also occupied the position of Union Minister for shipping in the Vajpayee government. His mother was a member of Maharashtra legislative assembly. Having a strong intelligence since childhood, Piyush Goyal created a record by being the second rank holder in India in his CA. He also obtained a law degree from Mumbai University. He is married to Seema and the couple is blessed with a son and a daughter. A chartered accountant by profession, before becoming a member of Rajya Sabha, Goyal was an investment banker. Following the footsteps of his father, he joined the Bharatiya Janata Party (BJP) in 1984. During his career as a member of BJP, he occupied many important positions. He was also the member of the Bharatiya Janata Yuva Morcha. key role in the party publicity. Infact, he was the first one to come up with the idea of Modi as PM. Heading the Information Technology (IT) communication sub-committee, Goyal wants to fulfill the agenda of Modi to get the sites NaMo for PM and Mission 272+ in the top ranking. In other words, he looks after all the party initiatives through social media. Accomplished in the economic issues, Goyal held the position of Parliamentary Standing Committee on Finance and the Consultative Committee for the Ministry of Defence, while he was the member of the Rajya Sabha. He participated in many economic discourses in the Parliament. He was also appointed as the secretary of BJP in Mumbai. It is believed that Goyal is close to both Narendra Modi and Arun Jaitely. 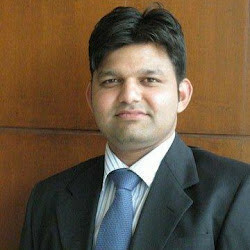 A Chartered Accountant, he was the member of the State Bank of India and Bank of Baroda. Pursuing the OPM (Owner/President Management) programme at present, Goyal participated in leadership programmes at Yale University in 2011, in Oxford University in 2012 and in Princeton University in 2013. A great social worker, Goyal has associated himself with many NGOs. These NGOs provide education to the lower sections of the society and looks after the needs and welfare of the physically disabled people. From 2001 to 2004 he was the Director of Bank of Baroda. He was also the member of Task Force for Interlinking of Rivers in the Indian government. In 2004 he was appointed as the Director of State Bank of India. Goyal became the National Treasurer of BJP in 2010. In the same year, he was elected to Rajya Sabha. 2012 onwards he became the member of Committee on Provision of Computers to members of Rajya Sabha. Piyush Goyal became the Minister of State (Independent Charge) for Power, Coal and New & Renewable Energy on May 27, 2014.